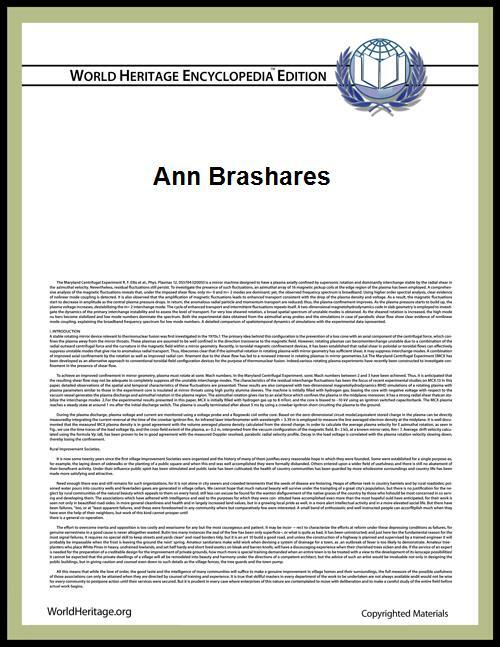 Ann Brashares (born July 30, 1967) is an American writer of young adult fiction. 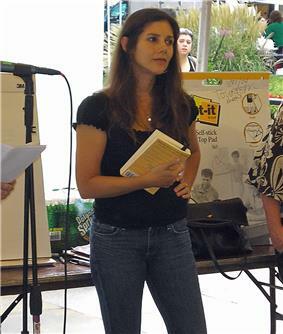 She is best known as the author of The Sisterhood of the Traveling Pants series. Brashares was born in Alexandria, Virginia and grew up in Chevy Chase, Maryland. She attended elementary and high school at the Sidwell Friends School in Washington, D.C. After studying philosophy at Barnard College, she worked as an editor for 17th Street Productions. 17th Street was acquired by Alloy Entertainment, and following the acquisition she worked briefly for Alloy. After leaving Alloy she wrote The Sisterhood of the Traveling Pants, which became an international best seller. It was followed with three more titles in the "Pants" series, the last of which, Forever in Blue, was released in January 2007. The first book in the series was made into a film in 2005, and a second film based on the other three titles in the series was released in August 2008. Brashares' first adult novel, The Last Summer (of You and Me) was released in 2007. The first companion book to the Sisterhood series, 3 Willows: The Sisterhood Grows was published in 2009, and the second companion book, Sisterhood Everlasting was published in 2011. A second novel for adults, My Name is Memory was published in 2010 and has been optioned for film. This was followed by a young-adult time travel novel, The Here and Now, published in April 2014. She lives in New York with her artist husband, Jacob Collins, and children Nathaniel, Samuel, Susannah, and Isaiah. Brashares mainly writes for young adults. Besides the four Sisterhood books and their two companion books, 3 Willows and Sisterhood Everlasting, she has contributed two 80-page biographies to the nonfiction book series Techies and has published two novels for adults. ^ Fleming, Michael. "New Regency finds 'Memory'". Variety. November 10, 2009. Retrieved September 8, 2010. ^ a b "The hear and now". Library of Congress Catalog Record. Retrieved February 16, 2014.